To Be Packing proposes in the catalogue different models of luxury paper to complete the packaging for jewelry. 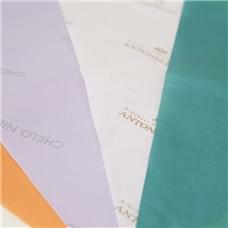 Relief paper, tissue paper, packaging paper, laminated or metallic. It is perfect to be placed in the shopping bags or, in a more classical way, to cover your packaging for jewelry. The luxury paper puts your brand and your corporate identity in evidence. In fact, it is possible to customize its colours and have your brand on it, in order to create a brand image matching your jewelry boxes, pouches, jewelry displays, etc.